Authority Rainmaker was awesome (if we do say so ourselves). Especially Henry Rollins. 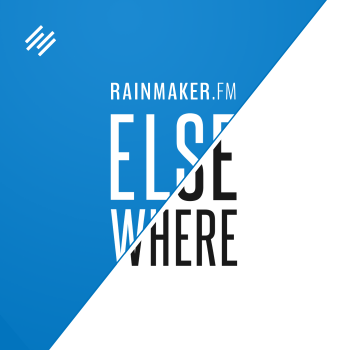 We’re launching a whole bunch of new shows on Rainmaker.FM. This is exciting. Robert Bruce is leaving the show. He makes Benedict Arnold look like Arnold from Happy Days. Robert Bruce: Sometimes I think I’ve had it with this computer stuff. 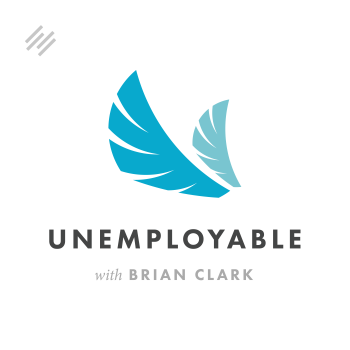 Brian Clark: It’s going to make your job difficult to do. Robert Bruce: Yeah. It’s one of these tracking things. These little tracking dots that everybody uses now. Robert Bruce: Right? I don’t know. Brian Clark: Do I know this person? Robert Bruce: No. It was something else. Someday I am going to end up in the mountains of the Oregon Coast Range. Well, we can take it offline, but we need to figure out how to do that. Brian Clark: Well, do they have Internet in the mountains? Robert Bruce: I’m sure they do. I’m sure it’s expensive, but I’m sure they do. Brian Clark: I think it’s doable if that’s really what you want. You’re not worn out from sharing emcee duties from last week’s event are you? Robert Bruce: Oh yes. I’m running on fumes. Brian Clark: I’m a little, definitely felt good that Saturday morning. I woke up at 5 as usual. I’m like, “What are you doing? Go back to bed.” Next thing I knew, it was 9:45, which never happens. But I didn’t feel as bad as last year when I did it all myself, so thank you, Robert. Robert Bruce: You’re welcome. It’s odd because it’s not like breaking rocks, obviously, but it’s the intensity of always waiting for the next thing. Wanting to do a good job, hoping you can pull it off, but you’re sitting back there waiting for your next queue, thinking about what you’re going to say — all of that stuff. Everybody is running around. It was fun. Hopefully, those of you who were in Denver, first of all, thank you for coming. Secondly, if I seemed rude — hopefully that was not the case — but I was being called backstage at all times for two days straight. Robert Bruce: Yeah, that was something. You called it. Robert Bruce: That’s the only reason I saw it. It was your video actually because I was coming on as he was actually doing it. I was in the wings when he went down. Brian Clark: That was so great. Thank God he wasn’t hurt. He did break his mic pack or whatever, but that was one of the many highlights. But, yes, let me thank everyone who came out. It was a whirlwind, but it all just seemed positive. People were happy, and Jessica and Kim pulled it off without a hitch. Dan Pink was amazing. Sally Hogshead was amazing, Chris Brogan. Then, of course, Rollins comes in at the end. It was so interesting to see the mixed reaction of the crowd. The reaction was uniformly the same, but it depended on who you were. Brian Clark: If you are a Henry Rollins fan, a Black Flag fan, a Rollins Band fan, whatever the case may be — like me — then you knew what you were in for, yet your expectations were still exceeded. I thought it was more amazing to see the people who were like, “You know, I knew who he was, but I didn’t really get it. Of course I was looking forward to hearing it because everyone said how awesome it was going to be.” Those were the people whose minds were blown. Robert Bruce: Then, of course, his epic after greeting time. I think it was two and a half hours — I think it went, somebody said almost 8:00 — he was out there. When you and I walked down the hall, we’ll constantly get stopped, and that’s very flattering and everything. But this was an entire mass of people. I got him far enough to where it could reach critical mass, and he’s just sitting there holding court — signing autographs, taking pictures. Brian Clark: I’m like, “Are you sure?” Overall, it was a good thing. The first year we did it had this kind of special thing to it. In part, I think because we tried to produce a different event from the larger, multi-track events. We have a flare for theatrics this year with the stage setting. The comments we got all the time were, “You are playing the coolest music throughout the entire show.” A little bit of that was me, but a lot of that was just Jessica. You can’t really touch her. She’s a former DJ. She knows her obscure hipster music fairly well. I’m still reflecting on it, but it’s been cool to see various people doing wrap ups and reflection pieces. It’s all got that same vibe. People kept saying, “I found my people.” We heard that the first year, but to put on a little bit bigger event and have, still, people come away with that feeling I think is pretty cool. I think I need to do some thinking about how big do we ever want to make this thing. Do you at some point you lose that? What would be the point? Robert Bruce: Yeah, because you hear it all the time. Things get too big and unwieldy and out of control, and people longing for the good old days when it was a small deal. Brian Clark: We don’t do it to make money. I’ve said that over and over. We do it to break even, if we’re lucky, because we don’t skimp on food or AV or the experience at any case. If it’s really just to have people have that feeling of “I belong here, and that was fantastic. I’m inspired to go take it to the next level.” It seems to me that it makes sense that we don’t let it get too much bigger. Anyway, I’m trying not to think about it right now. I can’t think about next year right now. I’m thinking about summer. I want to sit down. I want to stay at home. I want to write. I want to record. I want to create. And, of course, that’s how you set the stage for next year. That’s what you do, but it’s time to lay some new groundwork. I feel that way, and that’s, in part, coming away from my own conference as inspired and fired up as anyone. It’s not like I’m immune from it. The fact that I got to drive Rollins the next day from Denver to Boulder for his show at the Boulder Theater. Me and Jerod and his fiance got to be Henry’s guests in the VIP sections. Only one there, velvet rope and everything, and you think his presentation at Authority Rainmaker was amazing. He went two and a half hours at the Boulder Theater. I don’t think he took a breath, and it was hilarious. When he’s unrestrained topically, he’s hilarious. He just meanders, tells stories, but it’s all perfectly orchestrated. Robert Bruce: Yeah, it is incredible. I’ve never seen him live, but I’ve seen various versions of his shows over the years — the ‘talking show’ as he calls it — and it is really incredible. He’s got a really great thing going now because he travels the world. He has all these experiences. He sees all these places, and he goes to some pretty incredible places — both in the sense of culturally, crazy political things going on. He doesn’t call himself a journalist. But he comes and he reports back, and he uses all that material in these live shows. But you’re right, to go two and a half hours without a stop, it’s just like a freight train. Brian Clark: He doesn’t even really move. He stands in one place. He’s got the microphone cord wrapped around his hand. Anyway, let’s move off of this, but one last thing. During his presentation at the event, he made a reference to Henry Miller and said, “This guy just lives life and then writes about it.” And that’s what Henry does. When I’m in the car with him for 45 minutes and he’s telling me stories about David Lee Roth and the Ramones and he’s got this great Guns N’ Roses … Black Flag loaned Guns N’ Roses their PA equipment. He said they were the most scruffy, attitude-laden, smelly people he’s ever met in his entire life. And he said 15 minutes into their set – there are 35 people in the room — he said they’re going to be huge. I think he was right a little bit about that one. That’s his whole life. What he does becomes his material. He just delivers it with a lot of amazing wit and showmanship that I don’t think people realize — just go online and look at Henry Rollins’ Spoken Word, and you’ll get some videos. I suggest the one where he talks about trying to compete with Iggy Pop on tour. That’s the funniest thing you’ll ever hear. OK, what else do we have today? We’re already talking 10 minutes, and we haven’t got out of the intro. 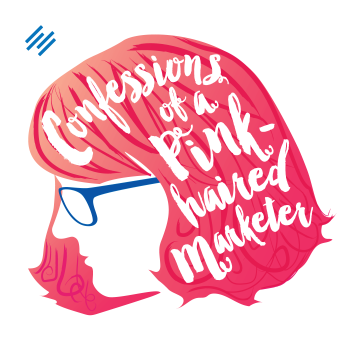 We’ve got more podcasts coming to Rainmaker.FM. Why don’t we talk about that? Robert Bruce: We got a whole list of stuff. 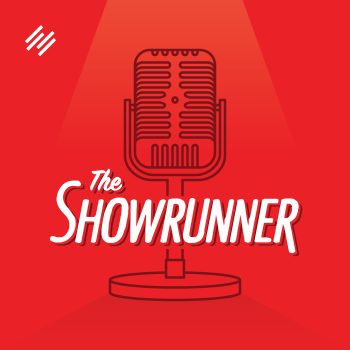 So right now we have 13 distinct shows live over at Rainmaker.FM, and that is not including, of course, the crowd favorite, the all shows feed. Yeah, we’ve got a number of things coming up here. I’m just going to list them out. We can talk about it, talk about the hosts a little bit, and then keep going. In no particular order, we’ll start with Andrea Rennick is going to be doing a show called Humans of WordPress, and this will be interesting. 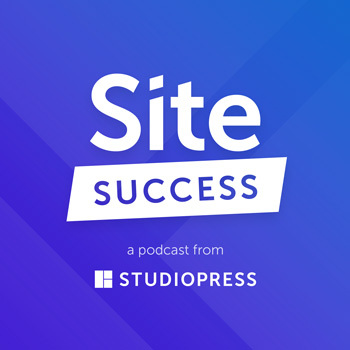 A little bit different than anything that’s on Rainmaker.FM right now, but she’s going to be talking about WordPress, talking to big WordPress people, what’s going on in the WordPress universe, and as that relates to, of course, the DIY side of our business with StudioPress and all of that. So that’s coming up. All of these, actually, this whole list is going to be coming out within the next month, month and a half, but that’s Humans of WordPress with Andrea Rennick. Then Mr. Sean Jackson– I think you still call him Action Jackson. Brian Clark: Action Jackson. Absolutely. Robert Bruce: He’s doing a show called The Missing Link. 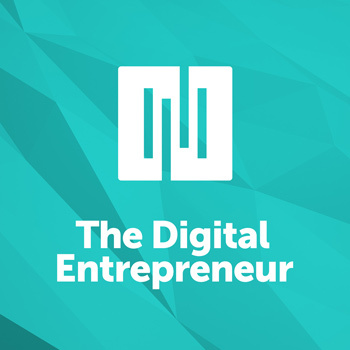 This is something that we went back and forth on, and you hit upon this idea of Sean — true to his nature and his interests — really focusing on the LinkedIn experience and as it relates to digital marketing and talking to people within LinkedIn, talking about strategy, of course, and using it. 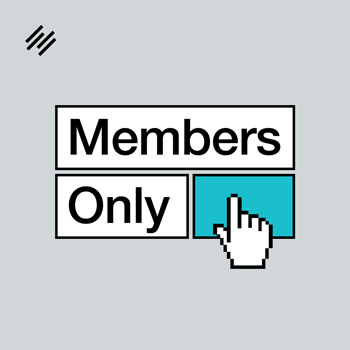 We’ve often said this is one of the most powerful social networks in the world. 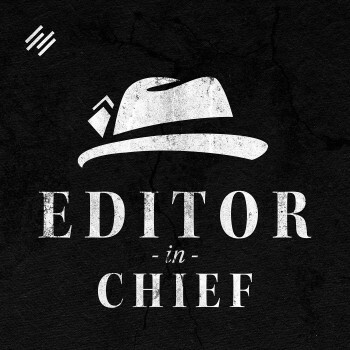 Brian Clark: It really is given that it’s the only one that’s primarily business focused. I keep looking at LinkedIn. I’m seeing more and more original content being published over there. I’m not sure how I feel about it, but the smart ones are always pointing back to home base. Really, it’s guest posting, yet instead of doing it at Forbes, Entrepreneur, or Inc., what have you — nothing against writing there, obviously — but it’s within a social network where people congregate to get smarter about their careers and about business. Then you’ve got all these content. Then, of course, that content is fueling the traffic back to their own site. It seems to me to be a fairly direct guest posting strategy. I’m looking into it more, but obviously I’m going to be listening to Sean’s show. Robert Bruce: Jessica Commins and Kim Clark are going to be doing a show called Misbehavior. Love this show title. Jessica is a serious data nerd, and Kim is on the support — many, many different sides of this — but mainly the support side of our business. She runs things over there. They’re going to be talking about all things data as it applies to business. One cool little tweak is, on a regular basis, talking about how deceptive certain statistics or certain numbers can be or the way in which people use them and what things really mean when it comes down to business. Brian Clark: Lies. Damn lies and statistics. Robert Bruce: Yeah, correct. That’s exactly right. It’s been around for a while. There’s one here that I’m not going to talk about, Brian. The only reason I’m not going to talk about it is because you, just a few moments ago, told me not to talk about it. Anything you want to say about that thing that I won’t talk about? Brian Clark: Yeah, why do you always do that to me? Robert Bruce: Wait, we’ll come back to this. 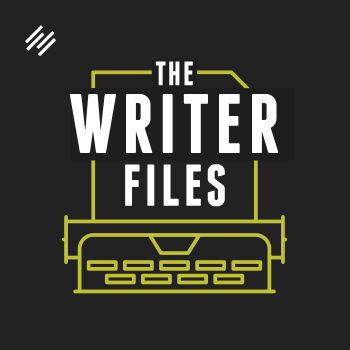 Brian Clark: I am working on a new project, everyone’s like, “Wait, didn’t you just do that Further thing?” Further to me, at least now, is like my once a week personal blog. I’d write it if no one were paying attention because it helps me learn. Thankfully, I’ve got a nice email list that pays attention to me, but I have no idea about selling people anything or whatever. I hope to demonstrate the Rainmaker Platform a little bit more with my ideas that I have over there. Hopefully, again, this summer, I’m going to have the time to implement that stuff. I think there’s something that’s more congruent with what I’m really good at. What do I have actual expertise in that I really want to do another podcast on. It’s not about just marketing. I really just intellectually need the ability to address a greater range of topics that are still relevant to the people I want to talk to — people like me, at whatever stage you’re at, that is essentially entrepreneurs of all stripe. I’m not one of these people that thinks, “Well, freelancers are some lower life form compared to a ‘true entrepreneur. '” That’s BS. Anyone who’s making a living outside the system, they’re an independent economic agent. Hey, you got my respect, and 15, 16 years ago, my first success alone without a net was really a freelance attorney when you want to think about it. They don’t call them freelancers. But a solo attorney, it’s basically the same thing. You’re a gun for hire. Now, somehow, I’m the CEO of an eight-figure software company. That seems like a gigantic leap unless you lived it, step by tiny step by tiny step. Anyway, I’m doing a podcast for those people. It could be a much larger project than that. I’m working out some details, so how about, I’ll talk to you guys about that one-on-one in a future episode. Robert Bruce: Books, books, digital books, print books, this idea of putting a book together to build your business, we have touched on this topic throughout the years, of course, but we’re bringing somebody in, a gentleman named Jim Kukral, which many of you will know. You guys go way back, Brian, I think. Brian Clark: Yeah, I’ve known Jim forever. Robert Bruce: I’ve known Jim for a couple of years. 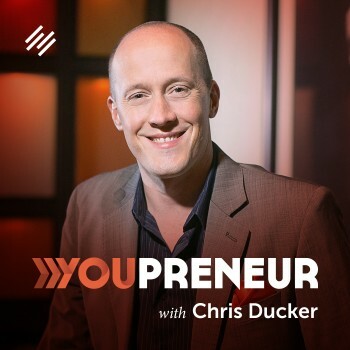 He’s going to do a show called Authorpreneur, focusing on the book business and as it applies to building your business with digital marketing from that angle. I’m looking forward to that one. 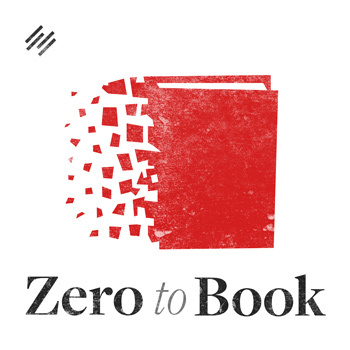 I actually got a thing for some of these book podcasts that are going around. Of course, it’s been a number of years now, but with the ongoing evolution of the self-publishing revolution, as it relates to ebooks specifically, is really cool. It’s kind of neat to see. It reminds me of the whole Napster era of everything in music changing. It’s now taken a few years — and it’s been going for a number of years, of course — but we’re still right in the thick of everything, of all of these changes happening in the book world. So Jim is going to do that one. Then a friend of yours from Boulder, a gentleman named Doyle Albee, who I just had the pleasure of meeting a couple of weeks ago. Then I got to briefly meet him, sorry Doyle, a couple of times in Denver this last week — really, really cool guy, interesting guy. He runs a public relations company there. He’s going to be doing a show called PR is Dead, which will be another of the great show titles in the Rainmaker.FM podcast network. Let’s talk a little bit about Doyle’s story, Brian, since you know him much better than I do. Brian Clark: Doyle is like an old school. He’s been in the PR business forever, but of course, over the last five or so years, he’s really embraced content, audience, being able to circumvent the media by becoming the media. 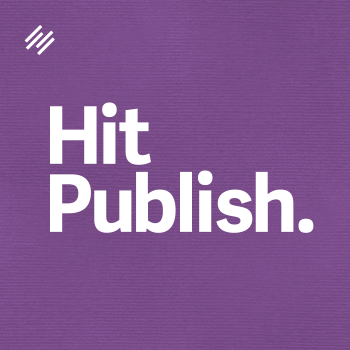 He’s actually going to write a book called PR is Dead: Long Live Public Relations. That distinction is the relations you have with the public is because they’re your audience, right? When I first met him, I said, “You know, man, we never get mainstream coverage.” And he’s like, “So what? You have 300,000 people that pay attention to what you say. My clients would kill for that.” Of course, that doesn’t make me happy because I want everything. Robert Bruce: You sound like a Millennial. Brian Clark: But that’s the point. Of course, that’s been the point all along. Yes, we get ignored by the tech press because we never took venture capital. It’s just the way it works, but does it matter? Did it stop us from growing to $10 million a year? No. Anyway, that’s going to be a great show. Robert Bruce: He told me he’s going to be looking at what PR means in this century and in the next decades coming up here because, traditional PR itself, the game has changed in terms of what is working and what people need in that context. I’m really looking forward to that one. 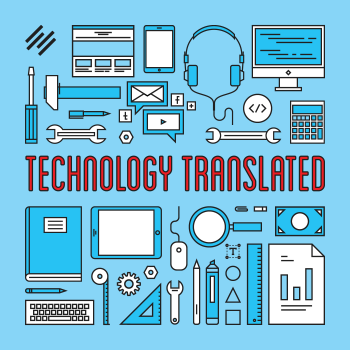 Scott Ellis, he is coming on to do a show called Technology Translated. Scott and you go way back as well, Brian, right? Brian Clark: Yeah. He was in Dallas, or still is actually. He was always doing stuff on his own. I remember he came to our AgentPress workshop and he now has his own hyperlocal site. He worked with the people over at GeekBrief — Cali Lewis and John P. when they were working together. He’s highly steeped in serious media production from the video angle with GeekBrief and just from the hyperlocal text angle. All of that stuff, and he does great consulting work as well. Robert Bruce: Next up is our very own Lauren Mancke. She runs things over at StudioPress. She is one of our great designers between her and Rafal Tomal. 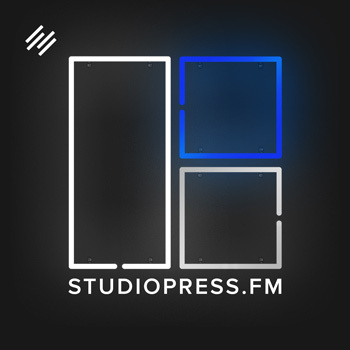 The title we’re still working on, but the concept is, again, the idea of the DIY side of our business, StudioPress synthesis, hosting your own site using WordPress and Genesis in a StudioPress theme on the Synthesis side. She’s going to be talking about digital DIY issues, running a business, which she’s done for years, and putting the pieces together to do it yourself in the context of digital business and digital marketing. Of course, there’s going to be a lot of design-related stuff in there and how to make things work with your website, but mainly that big idea of doing it yourself online. This is kind of a recurring theme. There’s more and more of these shows popping up and interest in these shows. I’m looking forward to that one. Our two friends, Tim Hayden and Greg Hickman, are going to be coming together to work on a show called Mobile Friendly. That is something that we’ve been working on for some time. Greg actually started this show, and they’re going to bring it into the network and work together on it. I’ve got a few things to work out there, but this one has the potential just because of the topic to be a pretty big show, and both of those guys know what they’re talking about. Brian Clark: Yeah, it’s not, “Mobile is coming.” Mobile’s here, and it’s rolling over everyone. To a certain degree, responsive design and being mobile friendly to your users is a criteria that they’re going to judge you on. Google now judges you on it, but I think there’s a whole lot. You talk to Tim Hayden — he just lives and breathes thinking about the consequences and the ramifications of mobile first — and it will blow your mind. I’m serious. This is going to be a great show that I’ll definitely be tuning in to. Robert Bruce: It’s been Rainmaker.FM all the time for some time here, at least you and I Brian, but we are getting to Copyblogger. We’re bringing Copyblogger over here in the form of what we’re calling The Portable Copyblogger. This is an idea that Pamela Wilson brought up. I think it’s great. 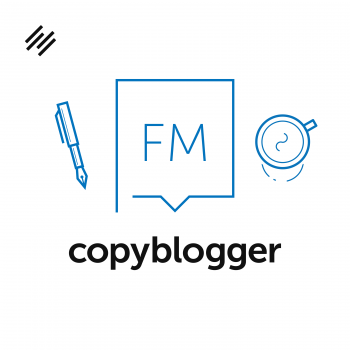 We’re going to take select Copyblogger posts from the archive and newer stuff. We’re going to record them. Basically, do a voiceover, but we’re not just going to just do a quick and dirty thing. We’ll rework those posts so that they actually work for audio. If it is something from the archives and stuff needs to be changed up or updated, we’re going to be doing that and putting it into a nice audio format. I like to think of it as hyper-mini audio books maybe. Robert Bruce: Maybe something in there. Super short, because a lot of these, a thousand words can be read in what, seven, five, seven minutes depending on the speed? This will be a cool one. 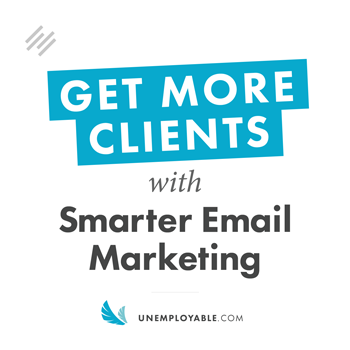 For those of you who would rather get Copyblogger native material in audio form as opposed to text, this one will be for you. Then we’ve got a couple that will be a little bit later, probably the next two months or so. There are actually a number of these, but I’ll just go through one or two here. The FAQ, this is something we’re just going to do a basic, really simple Q&A. We’re going to set up a system by which people can either call in or leave messages, leave questions for — somebody will host this. I don’t know yet who — but leave your questions for basically anyone in the Copyblogger organization. We’ll do quick Q&A show there. Probably the big one of all, which I hesitate to even mention, but we’re going to do it in one form or another, the Rainmaker Roadshow. That’s going to have its own channel on Rainmaker.FM, but basically live shows. We haven’t worked out all the details yet, but we’re talking about basically sending shows out on the road to do live in very small places, live venues. 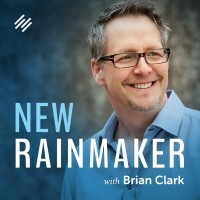 Brian Clark: It’s interesting because there was a podcasting table set up right in the front of Authority Rainmaker. What was his name? Clark something. Nice guy. Then, of course, we had Kelton and our video crew set up on the side of the house doing high-production video interviews, professional lighting, all that. It’s completely doable. Even if we — the conferences we go to — just set up shop. Talk to who’s there. I don’t know. It’s an interesting concept. Again, I can’t think about going on the road right now because I don’t want to. Eventually, that will change. It is an interesting thing. We’ve been talking about this for a while. We just haven’t figured out how it’s going to work, but of course, it’s doable. Robert Bruce: Yep. Then there are probably another ten or so in various forms of gestation shows that are coming up, but that puts us right between 25 to 30 shows. Frankly, that is about where I think I want to be for the moment — and really for the foreseeable future. Things will change. New stuff will come on, and as we get to moving toward — we’re not even close to it yet — but the one-year mark here, we’ll see where we stand in all kinds of ways. But that 25 to 30 number is pretty good. You and I haven’t had that conversation yet. In one sense, it’s arbitrary. In another sense, I really want this first six months, even year, is to get to a really foundational, stable place with the network. Then, of course, along the way, but also you at some point really want to slow down, see where you are, and make those shows even better, the shows that are there. That’s the conversations I’ve been having with Jerod on the host relations, talent side and then on the production side with Kelton. There’s a lot of moving parts. Robert Bruce: Has it only been two months? Brian Clark: It feels like a lifetime, doesn’t it? Brian Clark: Just two months. Finding things out just like we always talk about. Put it out there. See what works. See what doesn’t. You expand. You retract. The answers will make themselves. I didn’t really anticipate that because the reason you have all these different niche topics and slightly different position shows is that you find the handful of them that really work for you. It’s a testament to maybe we’re hitting it pretty well and that we’ve got people who really do want to consume it all. And that’s hard. 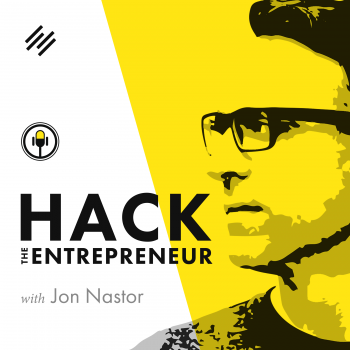 It made sense to start with podcasting, especially with the experience Jerod and Jon have. I would expect to see more of that because we’re already getting requests for it. Brian Clark: OK, so we only have a little bit of time left. I guess we should close with a dramatic announcement that you are a quitter. Robert Bruce: Dammit. I was trying to do a drop the mic sound effect. Maybe I’ll drop something in there. I’m out. Brian Clark: “I’m behind the scenes, I make more money than the talent. Therefore, I will not mingle with you little people anymore. ” Is that where you’re coming from with this? Brian Clark: You actually look like Rick Rubin. Robert Bruce: Well, I need to grow the hair out again, but maybe we can work that out — and the beard, too. Brian Clark: I would agree with that. Yet, at the same time, listen to that voice. Listen to the insight, so your whole argument that, “I’m not good at this. Blah blah blah.” I don’t buy that at all. I, of course, do respect your wishes, but I can’t believe you’re leaving me to fly solo. All right, here’s the question we need to ask the audience. Robert Bruce: Yeah, shoot. Oh, the audience — you don’t care about asking me anything. Brian Clark: You’re gone. What do I care? Going forward, I can either just fire up Garage Band and just sit here and talk — which I find very difficult. We’ve talked about this for years. If it’s just me, I have a very hard time starting this show. I know we did it a year ago January when we started this podcast, and it was challenging. I think the output was good. We’ve had lots of compliments over time. I either go back to that, or I get another co-host. I’m not sure who that would be given that everyone is just as busy as anyone else. Maybe we should take comments on it. Robert Bruce: Can I give my two cents here? Definitely take comments. Brian Clark: Here’s your last meaningful statement on my show, Robert. Robert Bruce: I think you could go either way. But I’d like to see you try the short-form monologue bit for at least a good number of episodes. Brian Clark: We’ll see. Okay. This is my request to the audience now. Since Robert is ditching me and making my life more difficult as he always has, but not to this degree. I’m really going to ask that you go over to iTunes, give me a rating or a review as encouragement to carry on, feeling a bit weepy. Did that sound sincere at all? Robert Bruce: Not at all. I was going to ask if you needed a hug, but that wasn’t going to come down sincerely, either. Brian Clark: Okay, anyway. I’d still appreciate a rating or review. Brian Clark: I will be back next week without the traitorous Robert Bruce. Hmm, after the closing of comments on Copyblogger, you have me wondering why comments are open on Rainmaker.FM. Is it strategic or is there better control on RM platform? It doesn’t appear to be a “logged-in” experience. Thanks – Love the show! Hey Jeff, great question. With a new site like Rainmaker.FM, we’re actively looking for feedback on the shows, much like when Copyblogger was young. The spam levels are much lower, as you can imagine, even though some still tries to sneak through. Make sense Brian. I’ve shut off comments on my primary site, but will most likely give them another try on my Rainmaker site. But what are we going to do without the deep velvety tones of Robert Bruce? Are you Dean Martin or Jerry Lewis? Pick who you want to be and find the other guy/gal. I love the dynamic of shows with different personalities. Doing it alone is tough. Love the banter but I’ve listened to you solo, Brian, and found that your conversational and get-to-the-point style is interesting, illuminating and entirely listenable. Even without the banter with Bruce, you can still “dialogue” by responding verbally to questions and comments that people leave here, and by interviewing guests. So here is my question … I write a theology blog. I have listened to every episode of the New Rainmaker, and most of it does not seem to apply to a theology blog … or does it? I have never heard of a professional blogger who makes their income from a theology blog. Have you? That is an amazing experience! Hope you succeed Jeremy, I love to see you making this happen with theology! As Robert would say, good luck! All the best to Robert Bruce – we’ll miss him. Are the new shows trailed during this episode launched yet? Can’t find them anywhere. They’ll be coming out one by one. 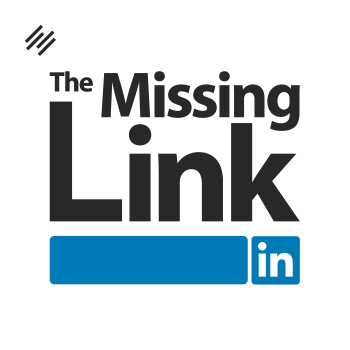 Check out The Missing Link from earlier this week and look out for Authorpreneur next week! You are a great team with great voices!!! I also loved the interview Brian did at the live event with Scott Stratten and Ryan Deiss so that will work out fine, too! There are so many options. What about interviewing New Rainmakers about their journey on this new platform? I’m curious about and look forward to what both your next steps will be. I wish you both success!